Scrambled eggs not cutting it anymore for your weekend breakfast? Is a quiche too much work? What if I told you there was a special recipe made with an egg mixture, cooked like a quiche without the fuss of baking a crust? Meet your new brunch best friend, the frittata. This Italian egg-based dish is seen to be somewhat of an open-faced egg omelet mixed with meats, cheeses and delicious vegetables like cherry tomatoes, bell peppers, and green onion. There are a few key differences that make a frittata, a frittata. The additions (meaning anything from Parmesan cheese to sweet potato) are added and mixed in while the eggs are still raw. The mixture is whipped, to add air, then cooked over very low heat in a large skillet for five to fifteen minutes. Once the bottom is cooked, the frittata is either flipped in its entirety (good luck not making a mess) or placed in the oven to cook the top. Pretty simple, don't you think? Here are some of our favorites. Anything that includes brie is always a winner in my book. Make this either as a dinner recipe or a brunch recipe served with a peppery arugula salad tossed with olive oil and lemon. Taco Tuesday just got a bit of an upgrade! Brown your ground beef in a cast iron skillet with a touch of olive oil and sprinkle in taco seasoning, salsa, peppers (either red peppers or green), green onions, salt, and black pepper. Add to the pan and sprinkle with cheddar cheese and bake until melted and bubbly. Find yourself with some leftovers you can't figure out how to reuse? 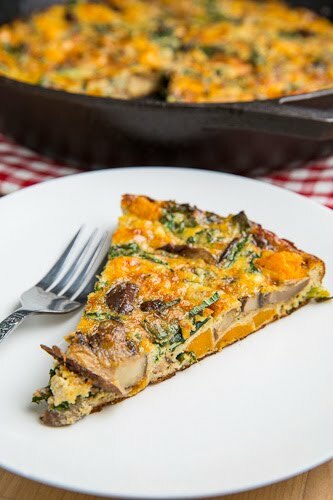 Make a weeknight dinner egg frittata recipe with leftover sweet potatoes, mushroom, kale, and spinach. This is the kind of flavor combination you can either have in the Autumn or even for Christmas morning. Rice and eggs? You betcha! Add leftover fried rice to the bottom of your oven-safe nonstick pan and top with eggs, cream of mushroom soup, protein (like pork or bacon) and seasoning. It's like a whole new dish from your leftovers. While it might sound a little strange, this breakfast recipe is filled with favorites like cauliflower and hot sauce. Top the entire dish with a sprinkling of blue cheese before serving. 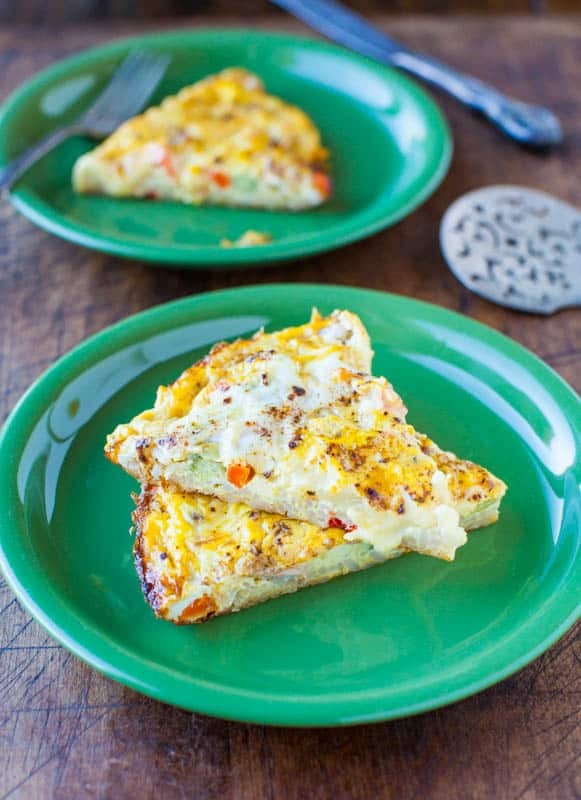 Grab your baking dish and some large eggs for this loaded frittata. We love this recipe because it isn't too precise. Just add in two handfuls of baby spinach and a touch of chorizo to make it right. Ain't she a beaut? Serve this egg dish either warm or a room temperature sprinkled with fragrant fennel seeds and kosher salt. 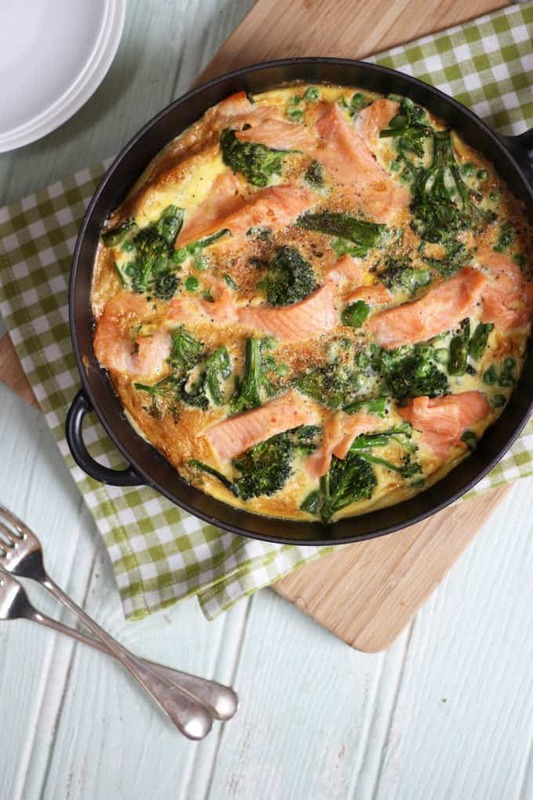 Salmon and broccoli make a great pair in this easy-peasy recipe. We suggest serving this with a dollop of sour cream and a glass of white wine. 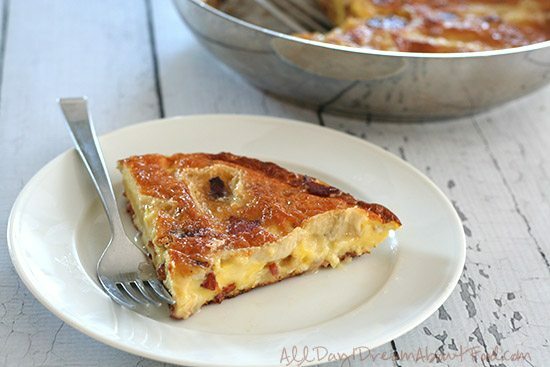 A pizza frittata? It can't be! Combine everything you love about pizza in this delicious egg dish, including the pepperoni. How can you go wrong with Italian sausage, peppers, and onions? 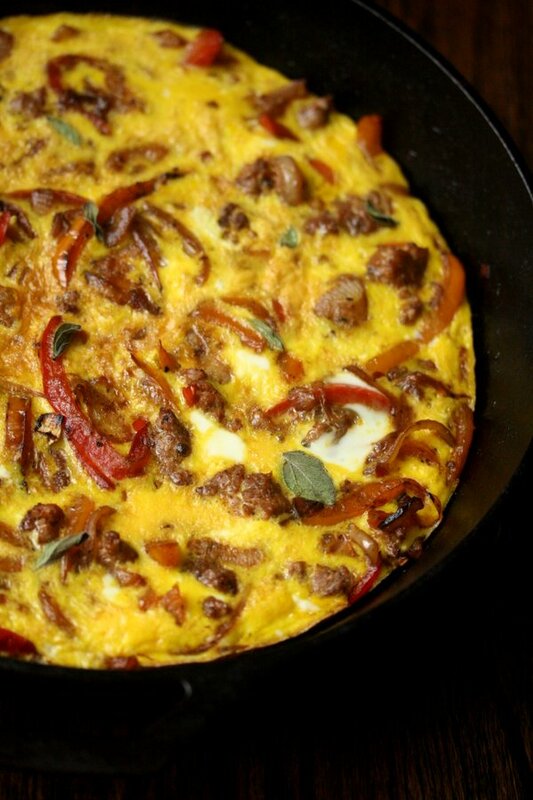 Bake up a double batch of this frittata to meal prep for the week, you won't be sorry.